I’ve been thinking about illness and the realm of public vs private recently. 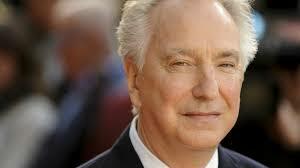 The deaths of David Bowie and Alan Rickman came as a shock to me because both men had chosen not to reveal to the general public that they had been living with cancer. There was no public announcement about their illnesses until after they’d died and this struck me as unusual – I suppose, in part, because for the last twenty years or so there’s been an increase in the number of people publishing literary and journalism accounts of their illnesses. 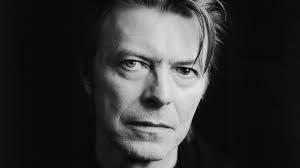 As has now come to light, Dark Star, Bowie’s final album, (although there are suggestions that the artist planned for further creative pieces to be released posthumously) was the artist’s creative response to dying and death, made available to the general public through its release on his 69th birthday, two days before he died. Bowie’s approach brings to my mind a painter with an illness, creating self-portraits as disease progresses. Tony Visconti, Bowie’s long-time producer, said that the artist had made his death a work of art and that Black Star was Bowie’s parting gift. I agree that such works of art are a gift to those of us wanting to contemplate and better understand dying and death. The letter brought home to me the munificence of people who make widely available their experiences of illnesses, terminal or otherwise, whether as a creative piece or as a factual account, or a combination of the two. Of course, it has to be a personal choice and I am not for one moment suggesting that it is any way anyone’s duty to share their personal experiences about anything. But I noticed a few comments, sprinkled around social media in the days following the announcements of the deaths of David Bowie and Alan Rickman, that there was something noble or dignified about the artists not revealing that they had cancer and that saddened me. I interpreted those comments as being quite judgmental and I really hope they won’t prevent anyone from talking/writing/making a creative piece about their own experience. I’d like to mention that I am very much a beneficiary of artists, writers and bloggers who share their personal stories of illness and death. 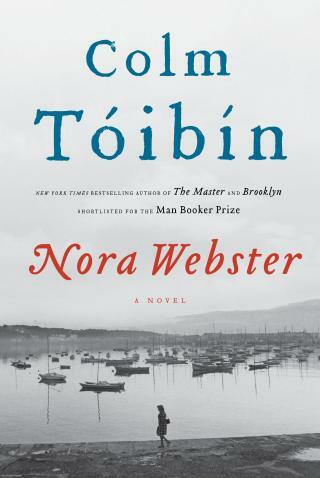 In recent weeks I’ve been reading Colm Tóibín’s novel Nora Webster about the life of a widow in Ireland in the 1960s in the three years following her husband’s death, and two collections by John Glenday, Grain and The Golden Mean, which have frequently given light to my contemplations of love and bereavement. Like many people I’ve experienced death and illness in my life and, even though I am in a secure and loving relationship and have many close family and friends, I sometimes find deep comfort in the stillnesses and silences offered by literature, music and art. It’s hard to explain but this comfort does seem different and further reaching than human companionship. On a more practical note, factual accounts of illnesses can also be hugely helpful to many people. As I’ve mentioned before, Andrew, my husband, has been diagnosed with early stage prostate cancer. I’m not going into Andrew’s personal details here but, inevitably, there have been various procedures, tests and biopsies which Andrew has been undergoing in the last few months. We’re both grateful to people who’ve shared their stories online so that we’ve been able to read and compare symptoms, outcomes and concerns. Over time, I hope I’ll find a way to write more about my personal experiences but, for now, I’m just leaving this post here as a thank you note to those of you who have, perhaps unknowingly, alleviated other people’s fear and pain. I think these experiences can turn up in poetry in weird unexpected ways. When my Dad got ill about this time last year (the same illness as Andrew, and he’s OK now after surgery but recovery took a while) was when I decided to write a sequence of poems about the apocalypse. The two things are strongly related, but in a strange tangential way that no-one would necessarily know unless I told them.